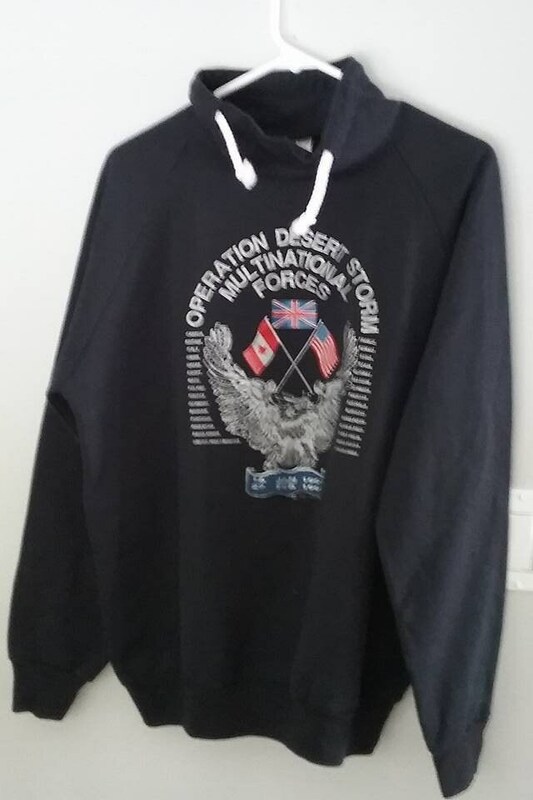 Operation Desert Storm Fleece Shirt, Military Collecible. 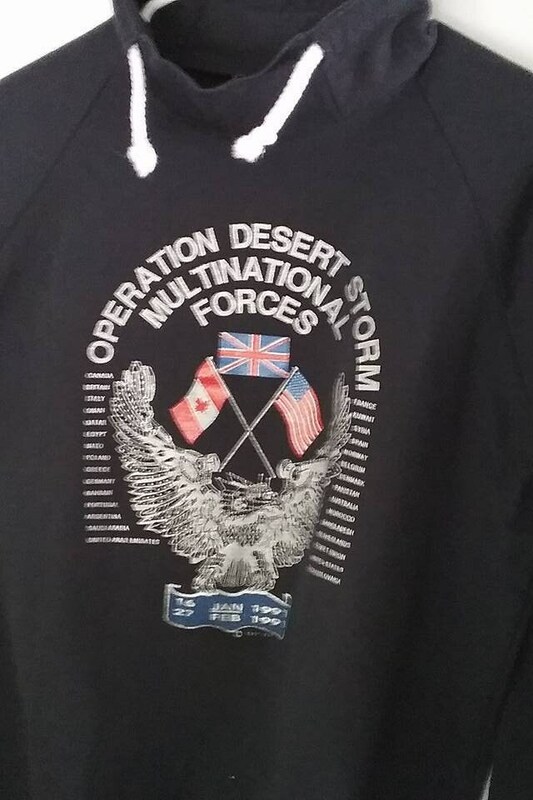 Vintage 1991 Operation Desert Storm, Desert Storm Multinational Forces Collector sweat shirt. 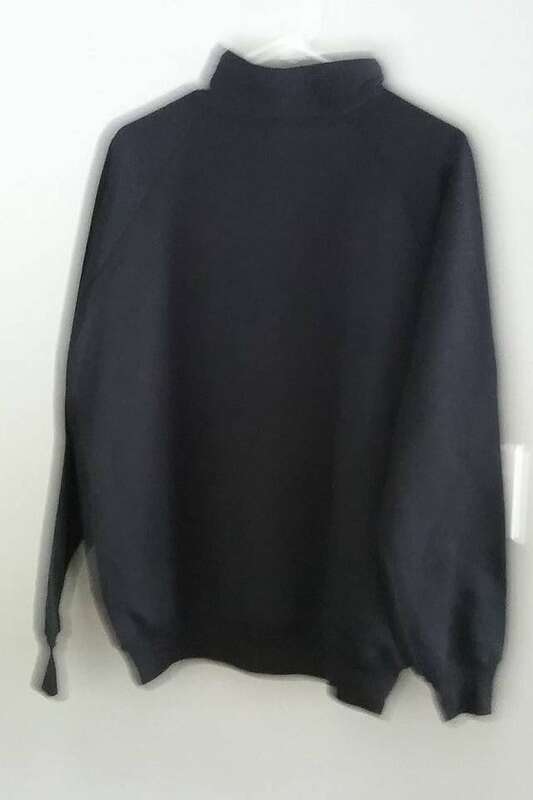 High collar with white lace drawstring, size men's large. Material 50/50 Cotton/Poly. 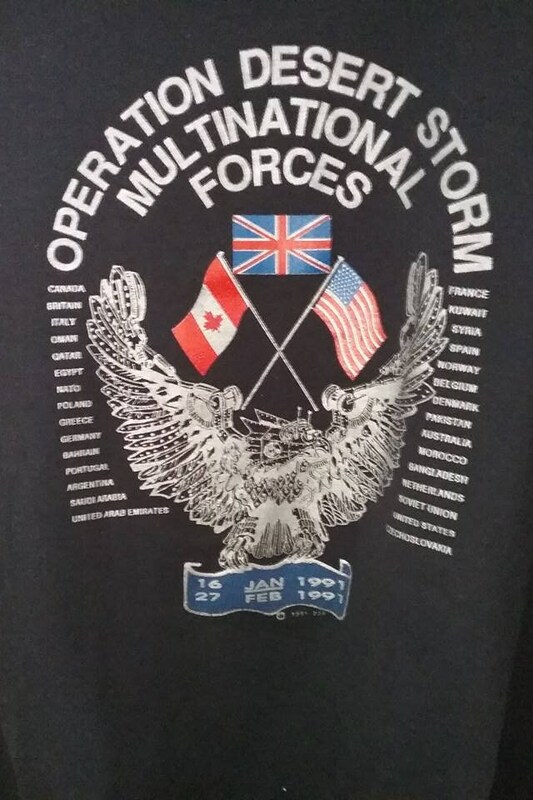 Has Canadian, British and America Flag and all other multinational forces listed countries down each side of flags. 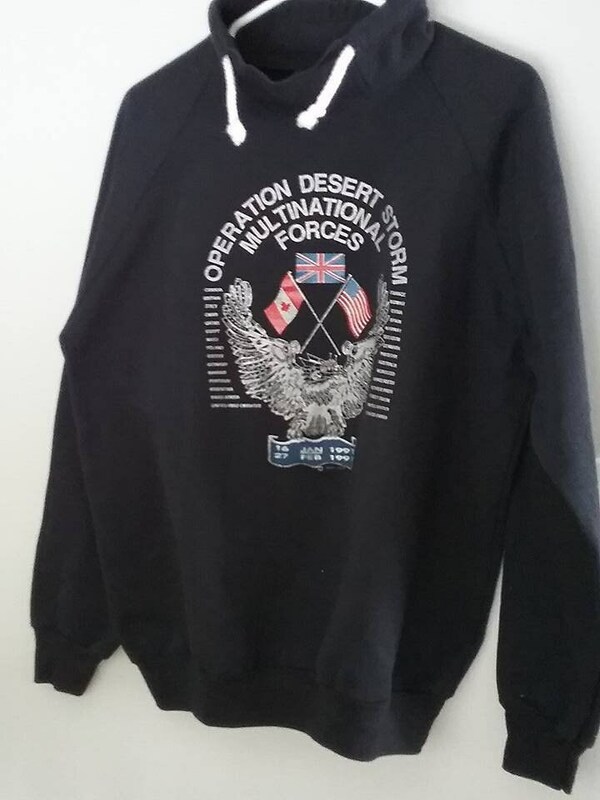 A rare keepsake in excellent vintage condition. Measurements approx. 44" Chest 46" and 50" measurements taken laying flat.